Looking for the right spa, were sure you now about the health benefits, and your have probably read the word “relaxation” here and there. You are well aware that a spa is good for the individual, are you aware that is can also be beneficial for your whole family? Whether its a joy splashing with your little ones or a reason to get your teen away from their phones, spas offer quality time in a peacful space for every type of family. Today we will go over how an American spa can truly add value to your whole family. In this day and age, it’s common to gather everyone around the TV to watch a movie or a show in the evenings. It can make for important time together when everything goes right. 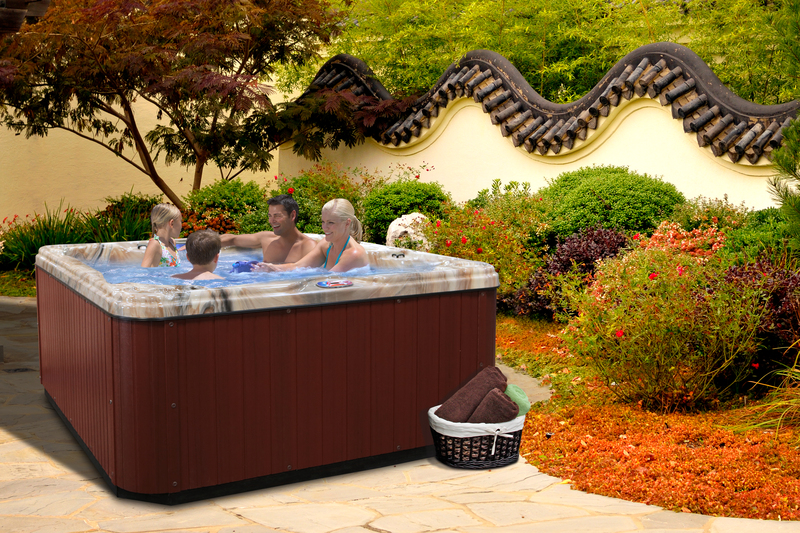 The advantage of having a portable hot tub is that mom or dad aren’t going to bring their laptop to “just get a little work done,” and your son or daughter isn’t likely to risk getting their phone wet just to send a couple of texts or stare at their endless Instagram feed. When everyone is relaxed and removed from the whirlwind of distractions that keep our minds buzzing and our eyes from meeting, they will start to talk to one another. They will have an opportunity to connect to something besides the Wi-Fi network. One of the most important things to consider when buying a spa for your family is seating. It’s hard to spend quality time with your family of seven in a four-seat hot tub. It’s important to have enough room for everyone, as well as various depths of seats for family members of differing heights. After all, you don’t want your toddler submerged up to their eyeballs, or dad barely wet to his belly-button. We’ve covered a lot of the fun and exciting things about owning a spa, but what about keeping your kids safe when you’re not there? Or when you are there for that matter? One option to keep your kids out of the spa when you’re away from home is to make sure that you have a cover with a locking mechanism. A quality cover won’t only keep your water warm and clean, it will keep your little ones safe. Another thing to consider is how much time your kids are spending in the water and just how hot it is. Here are a few guidelines for keeping everyone happy and healthy. Ready to Buy Contact us to see what our latest Offers are Today!